The year is flying by, and I am already a few weeks late posting this update on my 2015 challenges! Soon the year will be over and I’ll be pondering my reading goals for 2016. But let’s not get ahead of ourselves. Back in January, I thought it would be a great idea to slow down and focus on what I was reading this year, rather than how much. However, at this point in the year, I’ve pretty much resigned myself to the fact that my reading sets its own pace, and that barring some disaster, I am going to read more than 116 books this year. In fact, I hit the 100 books mark just as Q3 ended, which is 86% of my goal with only 75% of the year done. However, I don’t feel like this has prevented me from doing justice to my primary reading goal. At the end of last year, there were lots of counts and statistics going around about diversity in publishing, from folks like We Need Diverse Books and Diversity in YA. Naturally, this made me want to crunch my own numbers, and I found that only about 10% of the books I read in 2014 were by authors who were also visible minorities. Knowing that I’m the kind of person who only manages what she measures, I decided to track my reading in 2015 with an eye to ensuring that at least 25% of the books would be by authors from diverse racial and ethnic backgrounds, since this is the area where I felt I was most lacking. I set aside other possible metrics, such as LGBT, disability, etc. in order to make the challenge more manageable, but I hope to revisit this another time. Of the 29 books I read in Q3, 15 were by diverse authors, which comes out to about 52%. This number has been steadily increasing, from 35% in Q1, to 39% in Q2. Since I don’t tally my numbers until the end of the quarter, I’m always worried that I’m falling behind. I’ve also increased my collection of diverse books, so I now have a lot more options on hand when I reach for my next read. In Q2, I realized that since I don’t review every book I read or listen to, it would be important to ensure that I was writing about diverse books I was reading, and helping to boost their visibility out in the world. With this in mind, 14 of the 23 books I reviewed in Q3 were by diverse authors, totaling 61%, which is well above the 46% and 45% of the previous two quarters. 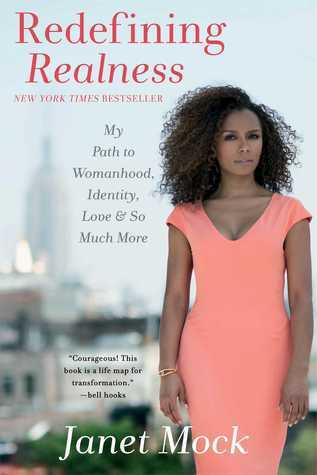 As 2015 goes on, I’ve noticed that I’ve been skewing fairly strongly towards works of fiction, so I made sure to pick up a few non-fiction titles for the challenge, including Redefining Realness by Janet Mock, Modern Romance by Aziz Ansari, and Between the World and Me by Ta-Nehisi Coates. Usually I make an effort to ensure I’m reading equal amounts of fiction and non-fiction, but this year I’ve been paying more attention to the authors than the categories their works fall into. It’s hard to regret all the fiction when I’ve read stunners like Americanah by Chimamanda Ngozi Adichie, or Laline Paull’s fresh take on dystopia, The Bees. Still, if you have any non-fiction works to suggest, please let me know! Year-to-date, 41 of the 100 books I’ve read qualified for the challenge, well above my targeted 25%. Of the 71 books I have reviewed, 36 were by diverse authors, which comes out to about 50% of my reviews for 2015! As long as I keep working at the challenge, I’m on track to finish strong. In that spirit, I’m going to set a stretch goal. Rather than 25%, which is the number I chose in January, I am hoping to finish the year with 40% of my books by diverse authors. How are your 2015 Challenges going? Are you already starting to think about what you want to do next year?